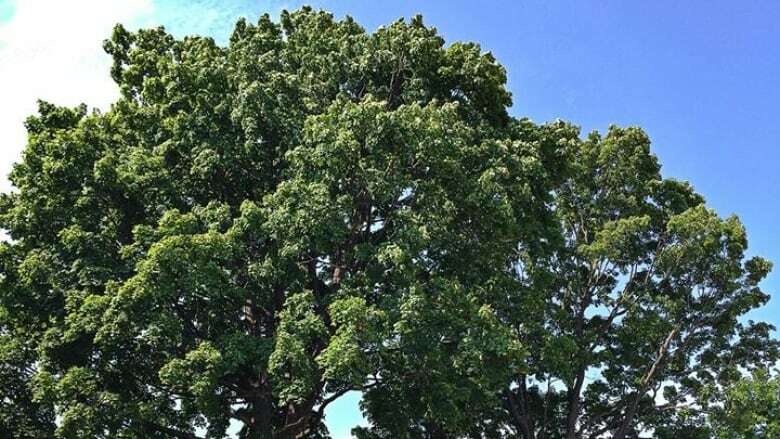 A pair of 100-year-old sugar maples in Old Ottawa East have won a reprieve following an outcry over a developer's attempt to chop them down. The trees sit on the northern edge of the 916-home Greystone Village development along the Rideau River. The developer, Regional Group, initially promised the trees would be spared, but recently applied to the city for a permit to cut them down after it determined the trees wouldn't survive construction. The news came as a shock to Richard Deadman, whose backyard borders the trees. When he learned of the developer's plan he rallied neighbours, activists and municipal candidates in the hope of saving the trees. "This has been a great stress on my family and the local community so I'm very relieved," Deadman said. "It's a great day." Mayor Jim Watson ordered city staff not to issue any removal permits. "The developer will have to find a way to keep the trees and live up to their original promise to the community," Watson tweeted Wednesday. Regional Group agreed to stall its application until Sept. 30, while it investigates how the trees might be preserved, according to Capital ward Coun. David Chernushenko. He and the mayor have committed to doing what they can to keep the trees safe because they're an important part of Ottawa's urban tree canopy, he said. "Each time now we allow another [tree] to be lost, it is a proverbial nail in the coffin when it comes to ecological health," Chernushenko said Thursday. The building permit has already been issued by the city, so Chernushenko is looking into other possible ways to protect the trees. It might come down to a legal battle, he said, unless Regional Group finds a way to preserve the trees voluntarily. An online petition to save the trees had garnered more than 500 signatures as of Wednesday evening.